Ceramic glass has the potential of a ceramics material — able to endure extreme heat and has more strength and durability than that of glass. Nonetheless, it does have the technical properties of a glass, making it a material entirely on its own class. But how significant is ceramic glass?? Do we have it in our homes now? Cooktop or stove top – We may not cook every day, but we do use our stoves very often. Usually, cooktops and stovetops these days are created from ceramic glass. It is not just for aesthetics but also performance. Ceramic glass has high thermal resistance, allowing it to endure high heat. Electric stoves – Electric stoves are made from this material. Glass and ceramics are two heat insulators, and just like these materials, ceramic glass can also retain heat, enabling it to help cook food. Fireplace inserts and furnace – People often use tempered glass for outdoor fireplaces. However, the ceramic glass is an excellent choice when the glass panel is less than six inches away from the fire. 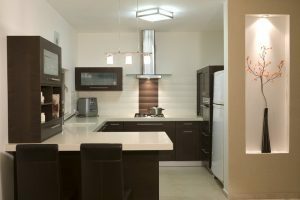 Ceramic glass is chosen when the heat is more than what glass could typically handle. Grills – Not a lot of grills are made from ceramic glass, but it can be a good alternative for those who are grill lovers or maybe run a restaurant. It can retain heat which helps cook any food without burning them. Dentistry – Glass ceramics are also used in dentistry, often as materials to create veneers. In the near future, people will likely find more uses for ceramic glass around the house as well as in other niches.